JEM Office Tower is a Grade A office building located at the west region of Singapore. The building is situated within the Jurong Gateway, the largest suburban commercial centre in Singapore. JEM Office Tower is an 11-storey office block above a retails podium. Completed in 2013, this Greenmark award development offers premium office space with raised floor system and large column free floor plate provide tenants maximum flexibility and efficiency in space planning. 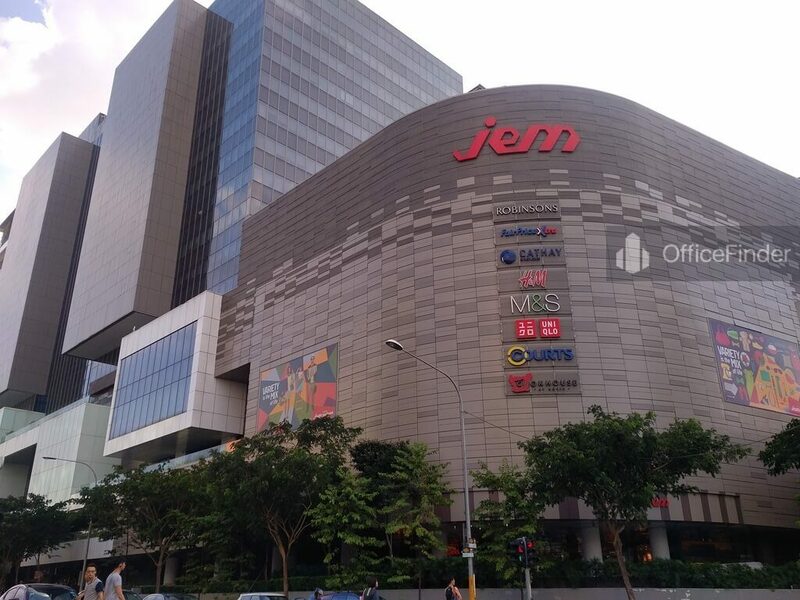 Combining its Grade A specifications and affordable rent, office space for rent at JEM Office Tower is a natural choice for companies seeking a business location outside the Singapore CBD. JEM Office Tower is conveniently accessible via the Jurong East MRT Station and various bus-stops with close proximity to the building. it is also well served by the Ayer Rajah and Pan Island Expressway. JEM Office Tower is situated in a convenient location, close to a wide array of amenities. These include fitness centre, meeting facilities, hotels, banks, childcare, pre-school centres, food centres, and eateries together with a wide selection of retail and dining options within the building, neighbouring Westgate, IMM, J-Cube and etc. Some of the other office buildings near to JEM Office Tower include Westgate Tower and JTC Submit. For enquiry on office space for lease at JEM Office Tower, please leave a message using the Enquiry Form.